Only a few km from Santa Margherita di Pula, in the centre of Pula, is located one of the most important Southern Sardinian archaeological sites, Nora, considered to be one of the island’s most ancient cities.. The Nora archaeological site is mainly buried, but its location, looking out onto the sea, is enchanting, on the tip of Pula between two points: Sa Punta ‘e Su Coloru and la Punta del Coltellazzo, overlooked by the Spanish tower. Nora was founded by the Phoenicians as a trading port, around IX – VIII B.C. and became one of the most important commercial harbours in the Mediterranean. Testament to this are the Phoenician “steles” housed in the Cagliari Archaeological Museum, which mention for the very first time the word “Sardinia”: “Shrdn”. 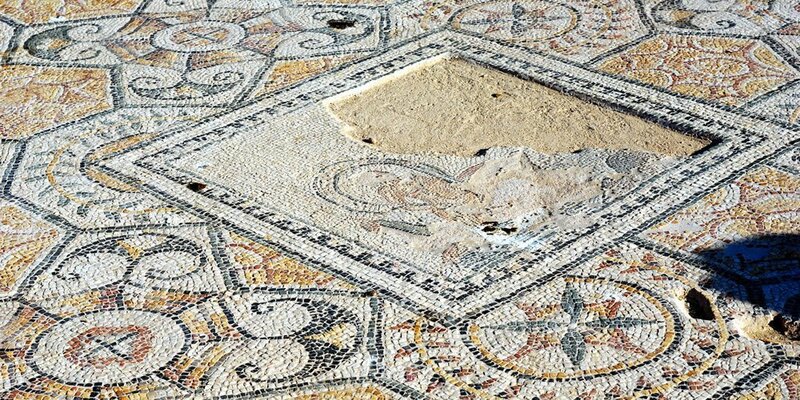 At Nora the ancient Roman ruins are still visible with their gorgeous mosaics, temples (the most significant being the Esculapio temple), patrician villas, paved roads, thermal spas, and especially the famous Nora Theatre. An amazing opportunity to become immersed in history and admire one of the most suggestive areas of Southern Sardinia. Getting there: from Cagliari follow the SS 195, at 27 km turn left for Pula. Drive through the residential area and take via Nora to arrive at the archaeological site. At the entrance you will find a restaurant with a panoramic view and a bookshop. Tickets: the site can be visited and is open all day from 9.00 and 20.00. We suggest using the guided tour services which will explain the whole history of the city. Tickets range from € 5.50, € 4 (for groups of 20+), € 2.50 (children under 14).